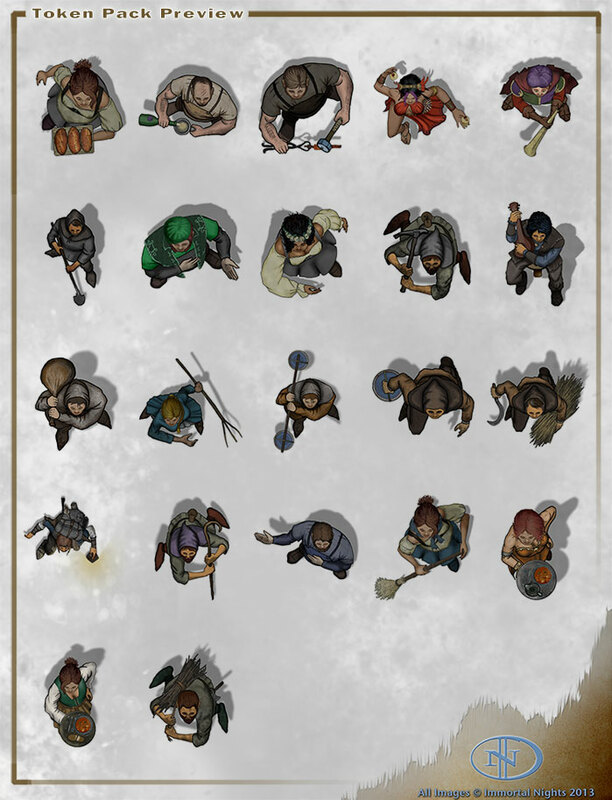 This set contains a variety of tokens perfect for most villages and medieval towns. This pack contains human tokens. This set contains 22 tokens.